It’s common for runners to want to break the two-hour mark in the half-marathon. But University of Oregon student and club track runner Justin Gallegos isn’t a common runner. The college sophomore has cerebral palsy—and he just signed a contract with Nike as their first professional athlete with the congenital disorder, according to a press release from the brand. Gallegos began running as a high school freshman in Santa Clarita, California, and knew the challenges that lay ahead of him, since cerebral palsy affects muscle coordination and body movement. Gallegos grew faster and more efficient, clocking 7-minute-miles in UO’s running club. So he set a new goal: run a half-marathon in under two hours. He called a friend at Nike Running (Nike’s headquarters are based in Oregon), and the brand jumped at the opportunity to help. Senior human performance researcher, Brett Kirby, Ph.D., the lead physiologist in charge of preparing Eliud Kipchoge for Nike’s moonshot Breaking2 attempt to shatter the two-hour marathon, and a group of Nike innovators, analyzed Gallegos’ gait and crafted a custom pair of Air Zoom Pegasus 35. 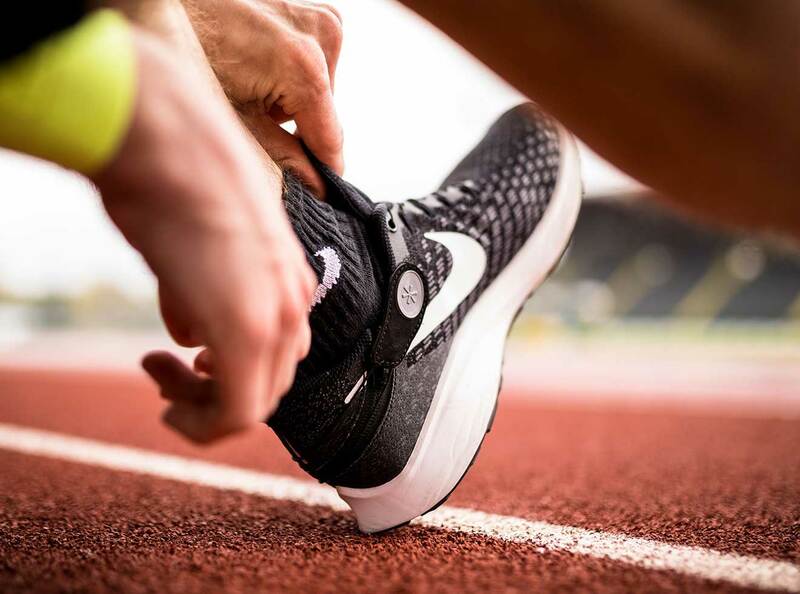 The shoe was equipped with FlyEase, a new zipper-and-strap system that allows athletes of all ages and abilities to put a shoe on and off autonomously. They also emphasized the shoe’s forefoot durability, cushioning, and stability to assist Gallegos’ balance. On race day, Gallegos finished the half-marathon in just 2 hours and 3 minutes. While it was just shy of his goal, Gallegos told Nike he’s setting out to run another half-marathon by the end of 2018 and a full marathon in the future. 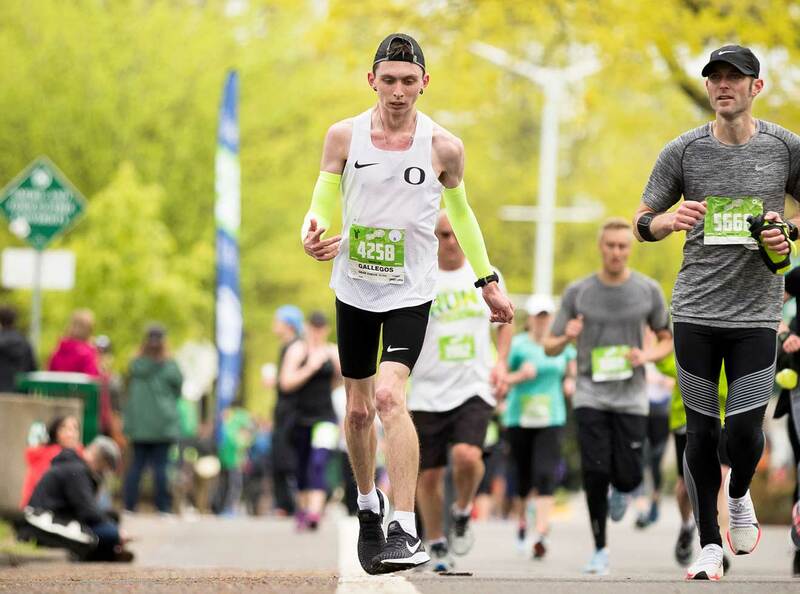 To sweeten the deal, six months after his half-marathon, Gallegos was surprised at his university with a three-year contract—hand delivered by Nike’s Insights director at the end of a race. The historic contract was signed on Cerebral Palsy Awareness Day. All the more reason to try, we say.